More magical than station 9 3/4’s, luxury trains are vehicles designed specifically to offer sumptuous, opulent and elegant train rides. The idea of train travel was novel in the 19th century; trains had only been used as a means of transporting goods, such as coal. 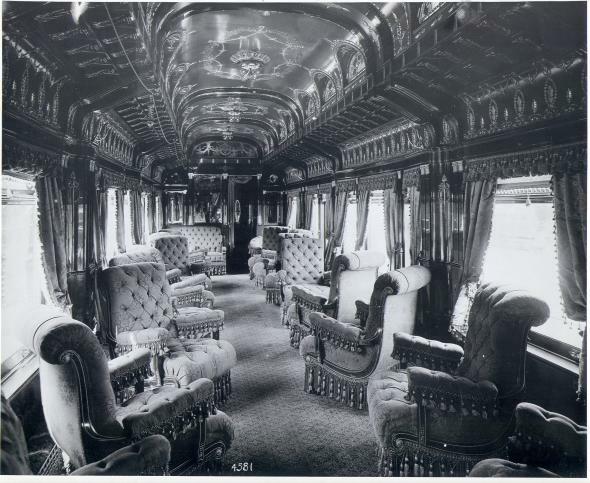 Without sleeping and dining cars, long distance traveling used to be a distressing and tiring experience. However, in 1867, “Hotel Cars” were introduced. Pioneer was the first railway carriage to introduce dining cars and sleeping cars in train leading to more comfort during travelling especially a long distance journey. Vogue UK December 2005, Model: Rie Rasmussen, Photographer: Norbert Schroeder, Stylist: Charlotte Stockdale via Capture the Castle. 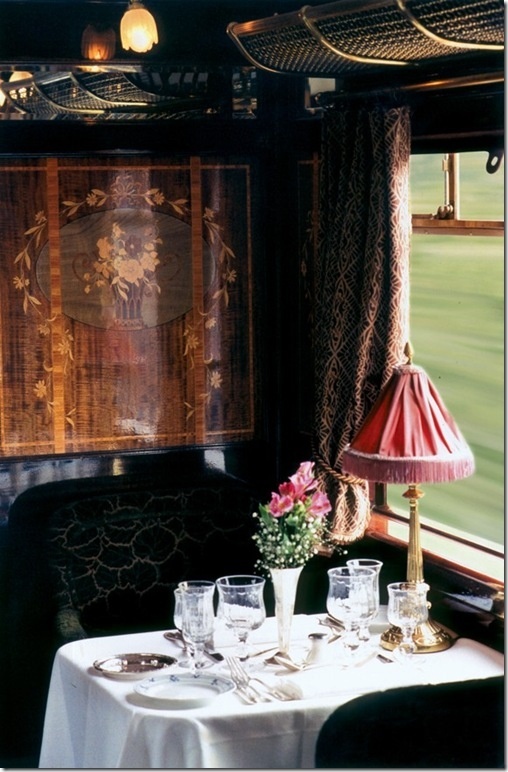 The Orient Express was the first luxury train in Europe. It embarked on its maiden journey on June 5, 1883 from Paris Gare de l’Est across Europe. 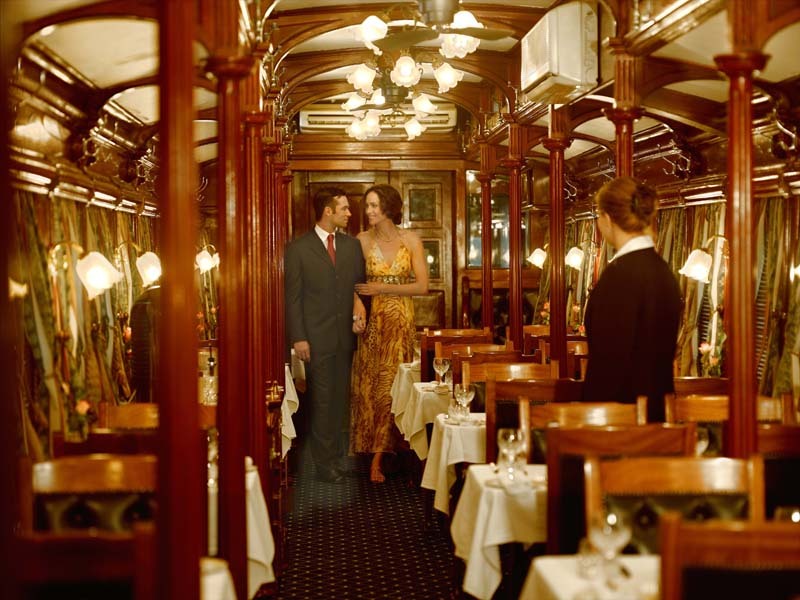 Today the Orient Express not only provides luxury train travel across Europe but several destinations around the globe. Today’s Orient Express is a formal, black tie, white gloved affair. Although, passengers must wash up in basins and shared bathrooms….what was once the height of luxury now seems…less than. Observation room of the Abraham Lincoln Pullman car Photograph owned and provided by Curtis Andrews. 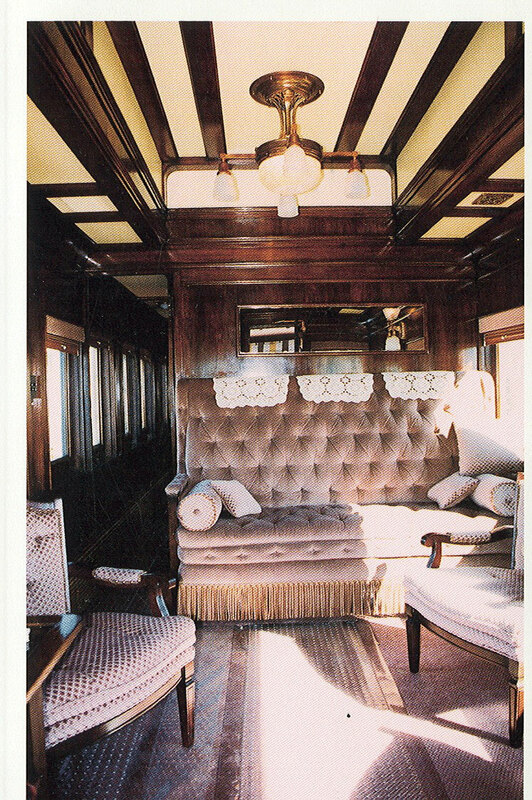 The Classic and Edwardian trains travel with four beautiful pre-1940 dining cars on Rovos Rail in South Africa, via. Part steampunk finery, part 19th century pedestrian yet, filled with the spoils of Victorian and Edwardian aristocracy. 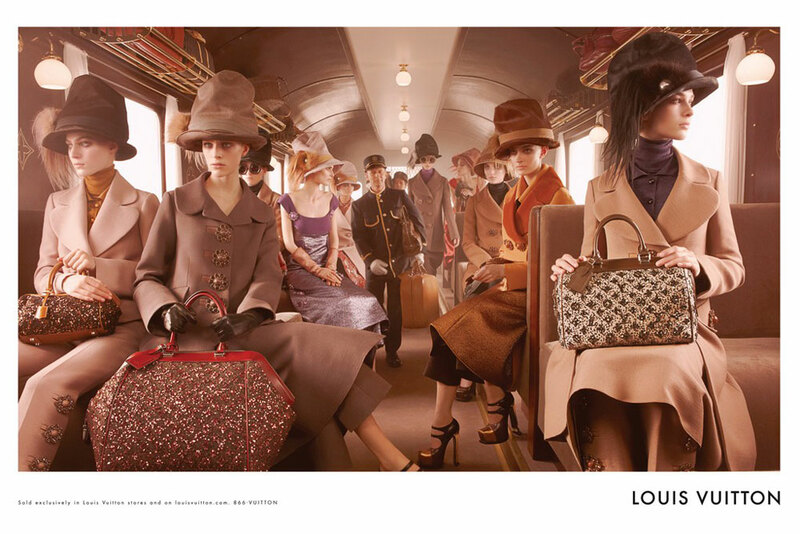 Louis Vuitton’s recent Fall 2012 show and ad campaign hearkens back to the heyday of train travel. 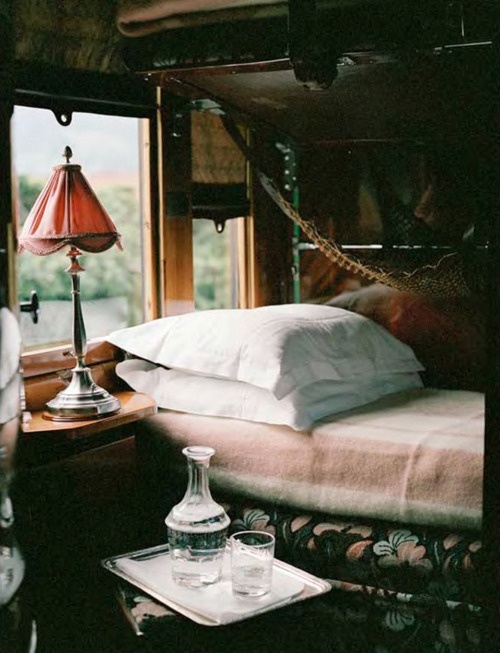 Trains changed the way societies view their countries, traveling swiftly past sweeping landscapes, trains also allowed the idea of a “country home” or a vacation home to become a reality. Prior to trains, most societies had never meanders further than 100 miles from one’s home-base. Through the 1800’s, tributaries of train tracks, like veins began to overtake Europe, lessening the divide between major cities. By 1845, 2441 miles of railway were open and 30 million passengers were being carried. 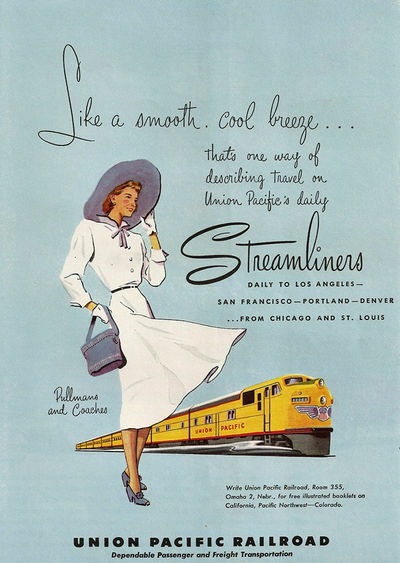 The railways, offering as they did new opportunities for travel and commerce, and breaking down social barriers in the process, were immediately popular. 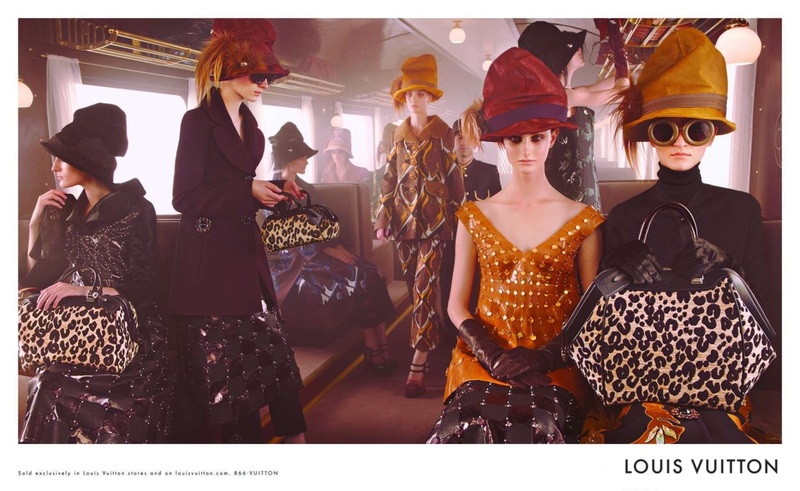 Ad photography for the Louis Vuitton Fall 2012 Ad Campaign by Steven Meisel via The Empress of Dress. 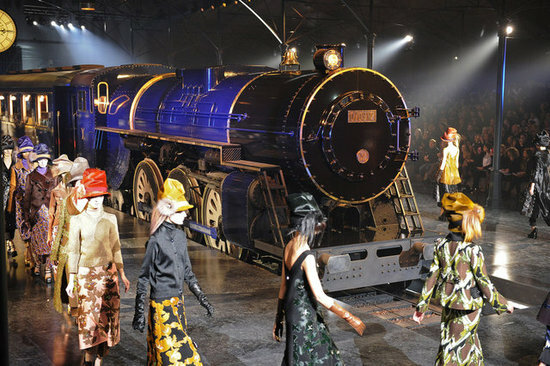 Who doesn’t immediately think of haute couture, vintage travel when ones sees an LV trunk? Eva Marie looks dapper in this editorial clearly inspired by Hitchcock’s suspenseful classic “North By Northwest”. Photographed by Gabor Jurina and styled by Susie Sheffman for Fashion magazine Oct 2010. Via. 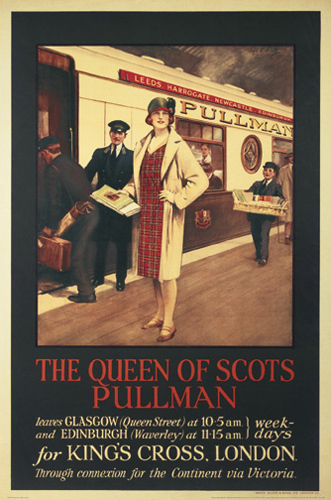 THE QUEEN OF SCOTS PULLMAN leaves GLASGOW (Queen Street) at 10:05am and EDINBURGH (Waverley) at 11:15am weekdays for KING’S CROSS, LONDON. Through connexion for the Continent via Victoria. Ad found here. 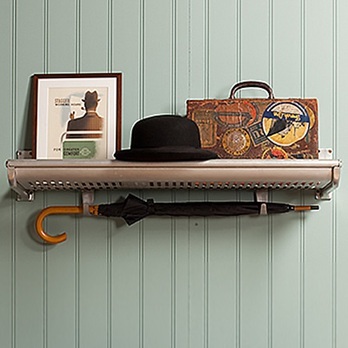 London Transport Museum has rescued a limited number of original 1960s luggage racks from decommissioned Metropolitan Line trains, found here. 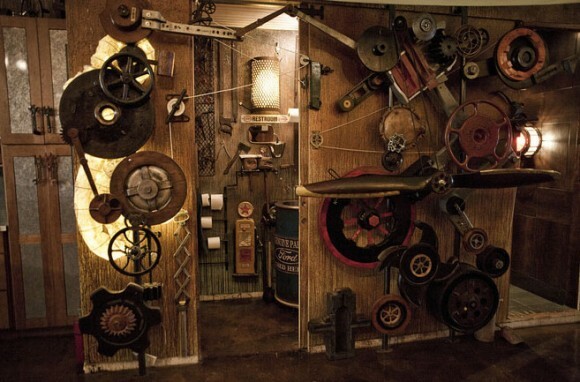 Have you ever wanted to live inside the retro-futuristic world of a Jules Verne novel? Do you prefer submarine portholes to skyline views? Then say hello to your dream home, only for a cool $1.75 million, here. Tracks made of stone and iron carried wagons from mines and quarries under horse power. The invention of the steam engine changed things dramatically. The Age of Steam, as it is dubbed! During the reign of Queen Victoria Britain emerged as the most powerful trading nation in the world, provoking a social and economic revolution whose effects are still being felt today. Since the latter part of the eighteenth century the process of industrialisation had built a firm foundation for nineteenth century growth and expansion. 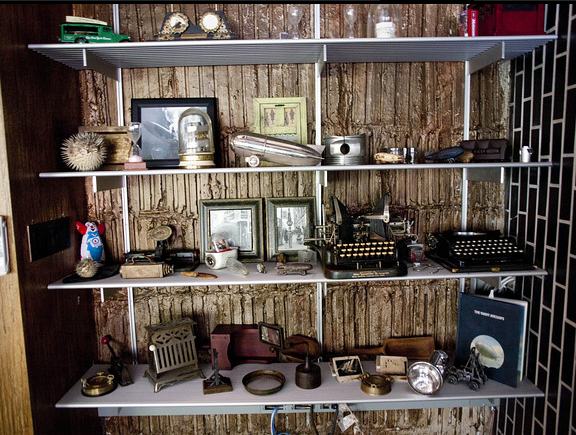 At the heart of this was the successful development and application of steam technology. Between 1809 and 1839 exports grew from £25.4 to £76 million, almost a decade later the data was at £124.5 million, with the major export markets being Europe, India and Asia and, increasingly, the United States. Trains made the rich richer and created a middle class throughout Europe. Travel reading, in the form of popular serial publications, and mystery novels, also increased. 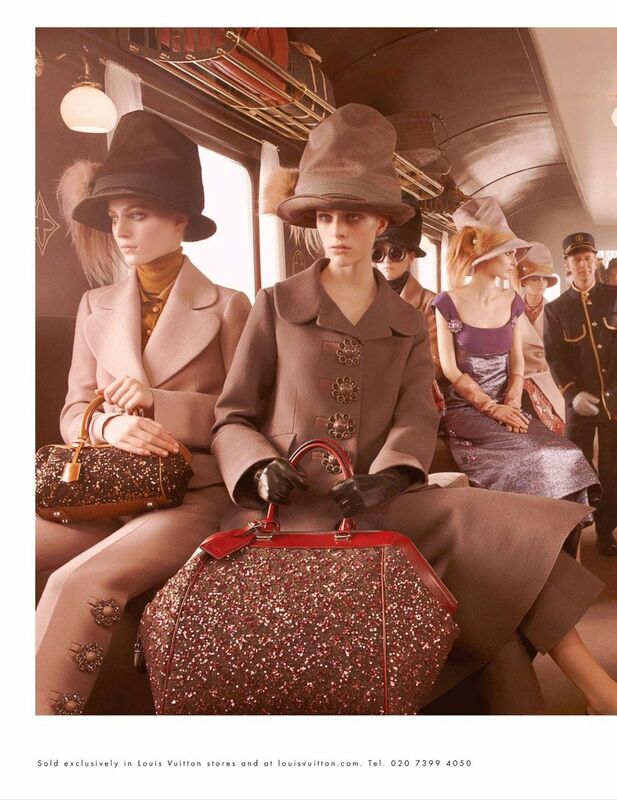 Orient Express editorial, photography by Benoit Perevelli for Madame Figaro. 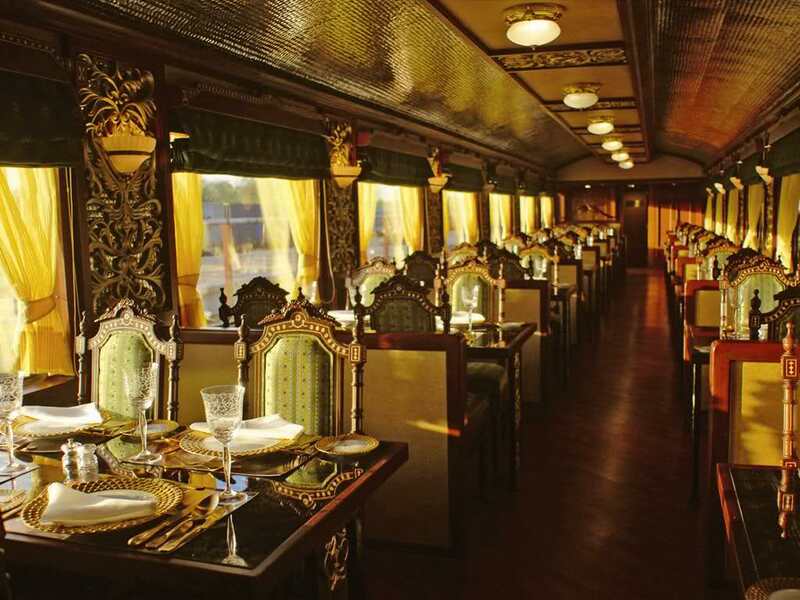 Maharajas’ Express: A Luxury Train in India, via. Photographed by Arthur Elgort for Vogue UK in August of 2009, model Anja Rubik. 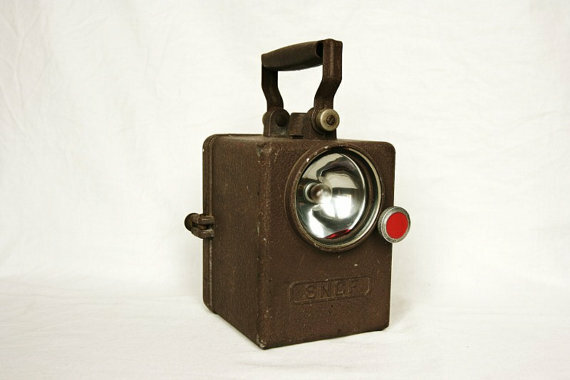 Railroad lamp with changeable lens, red or white. Hand held light signal of the SNCF, Société Nationale des Chemins de fer Français (French National Railways). The red knob turns for positioning of the red filter, the on/off button is on the top. From the 1950s or 1960s found on ETSY. 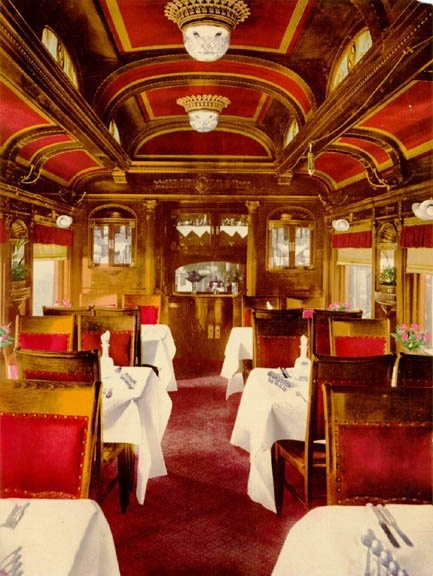 March 30th 1868 The Pullman Palace Car Company introduced the first railroad dining car. What is your preferred method of transport; locomotive, planes, automobiles, hot air balloon, scooter?